Book 3 is here: Valley of Kings is on the map! 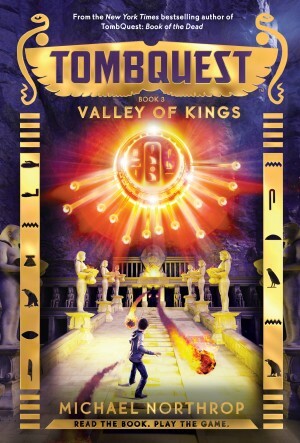 The third book in the TombQuest series is officially out: Valley of Kings is now on sale wherever books are sold! And this time, Alex and Ren (and Luke and Pai!) have finally made it to Egypt. Here’s a look at the stunning cover. As you can see, the action definitely heats up in the desert. The first two TombQuest books were set in New York and London, and I had a blast unleashing Ancient Egyptian magic in two of the world’s greatest cities: Scorpions in the subway! Evil under a creepy Victorian cemetery! But from the very start I’d been looking forward to writing about Egypt, itself. If you didn’t think this series would make it to da Nile, you were in denial! In Book 3, the mummies finally get home field advantage. This one begins in Egypt’s sprawling capital, Cairo, which has descended into supernatural chaos. Sinister voices whisper on the wind, driving people to dark deeds in the dead of night. Fleeing the madness, Alex, Ren, and Luke follow a string of clues to the famous Valley of the Kings. Under the burning desert sun, they discover that the final resting place of such pharaohs as King Tut and Ramses VI might not be so restful (or so final) after all. As the friends turn over every stone in their search for Alex’s mom and the Lost Spells, a Death Walker lurks, a sinister plot begins to take shape, and a stunning twist awaits! In the end, the most burning question of all could be: Who can you trust in a world gone mad? Find out in Valley of Kings! 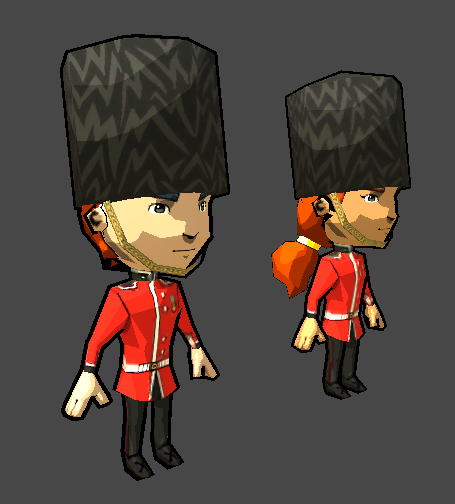 Look at those wee Beefeaters, ready for action! So awesome. That could be you! Can’t wait to see what they add for Book 3! Totally looking forward to it !!!! I own and read the first two. I think maybe Alex is a re-incarnation of an ancient Egyptian given his father’s last name, and that he seemed to have a special connection to the old scrolls in the museum as if they were calling him. Will there be a book signing like the last two? There will definitely be more signings! I will be on tour for three weeks in September—October, but I am not sure exactly where I’ll be just yet. ok great. Will look forward to the new book and getting all three signed. Just need to know where to look for the schedule of book signings. I want to see if the nephew will come with me so I can get him hooked? Every time I take the subway (I live in NYC) I cannot help but remember the part of the first book where the kids and Dr. Todtman find that old tunnel and all the surprises waiting for them there. Anyway will look for the book signing schedule. Hope to make it ! Keep the story going ! Thanks, Ivelisse! I will keep plugging along! I have definitely had that same thoughts on the subway, especially when I catch glimpses of dark spaces beyond the train. I’m glad I haven’t seen anything too creepy, though—the subway is rough enough without scorpions! Hopefully I’ll have an NYC event for this book, too. I will try to post the events here on the site as soon as I get the details!